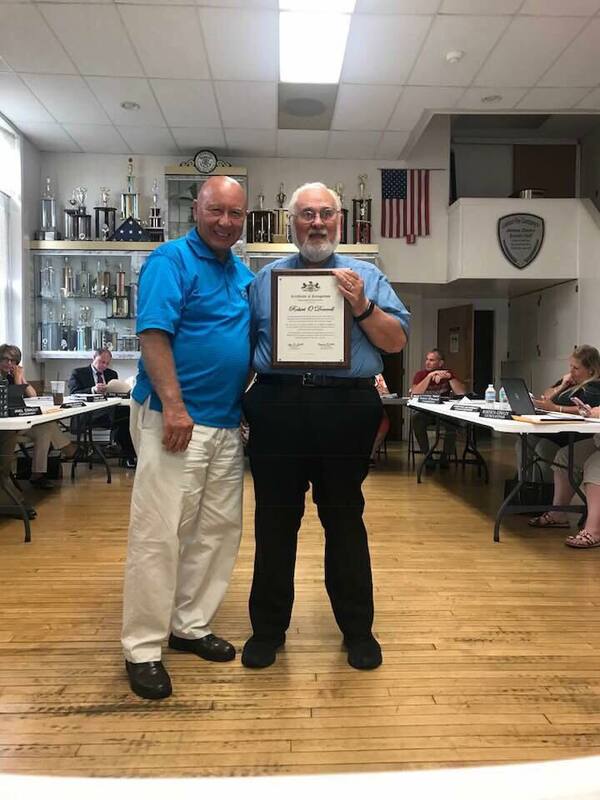 Congratulations to Pen Argyl Borough Councilman Robert O’Donnell for your many years of service to the Borough and its citizens. I was pleased to join PA State Rep. Marcia Hahn in recognizing you for receiving the Cecil K. Leberknight Award of Service from the Pennsylvania State Boroughs Association. We wish you all the best in the years ahead! This week I joined Bath Borough in celebrating the opening of their beautiful new Borough municipal building. 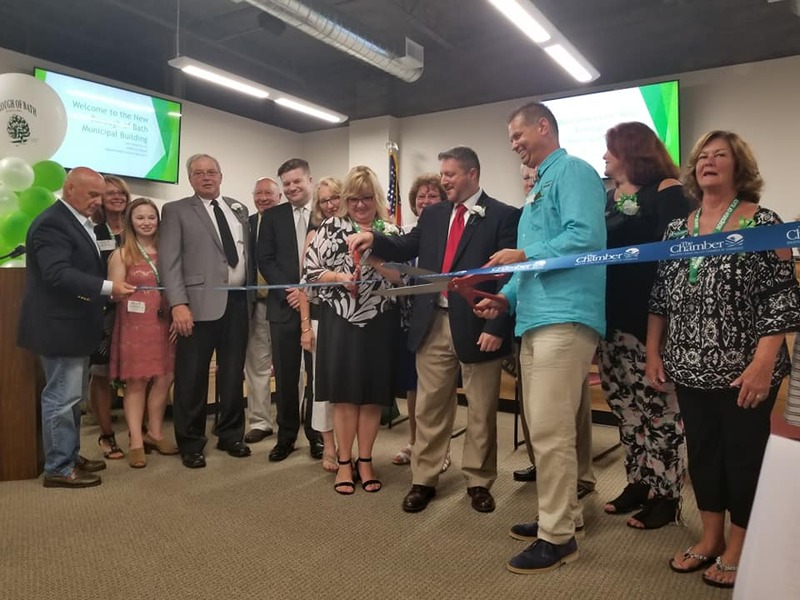 The new town hall is the culmination of a monumental volunteer effort by skilled area residents who gave much of their time and resources to complete the new location. If you are in the area, make sure to stop in and see the building and the outstanding collection of Borough history on display. We wish Bath Borough a prosperous future! Joseph Tonnies of Troop 300 in Stroudsburg recently earned the rank of Eagle Scout. 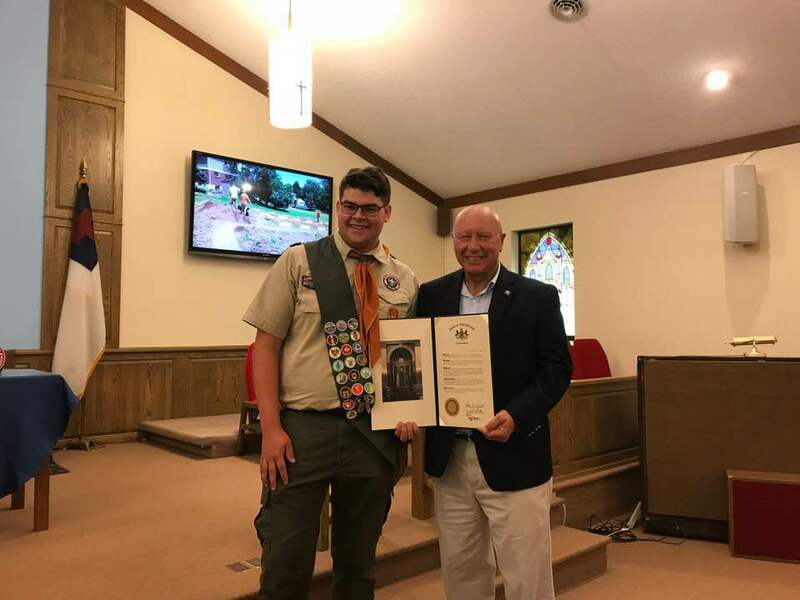 He has served his troop in a variety of leadership capacities and, for his Eagle Project, expanded the Faith United Methodist Church Community Garden which services the local food pantry. Well done, Joseph, and thank you for your service to our community. 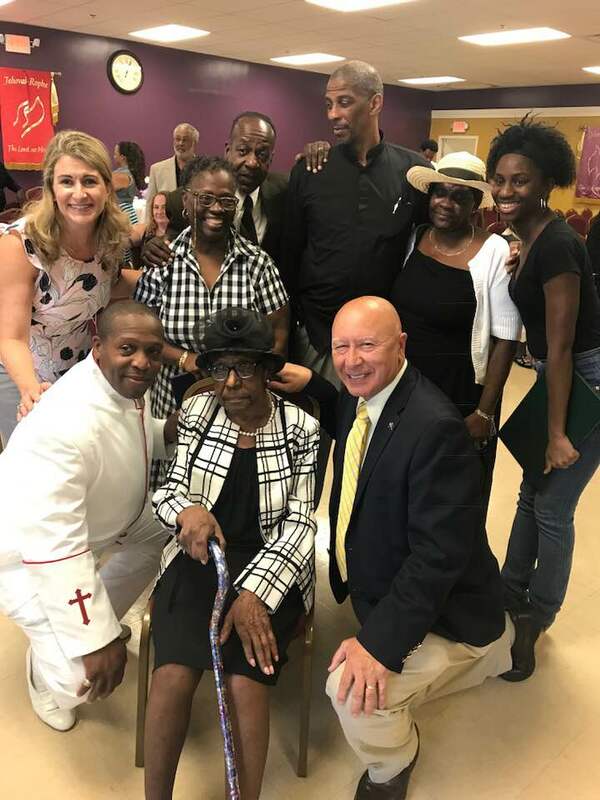 Congratulations to Magdalene Williams who celebrated her 106th birthday this past Sunday with her family and friends. Happy Birthday, Magdalene, and we wish you many more blessed years. 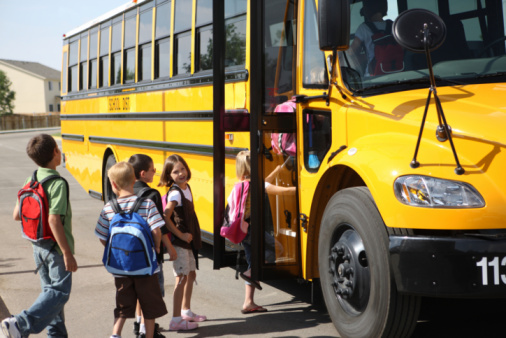 Students will be returning to school soon, and for their safety please keep PA’s school bus stopping law in mind. Motorists must stop at least 10 feet away from school buses that have their red lights flashing and stop arm extended. Motorists must stop when they are behind a bus, meeting the bus or approaching an intersection where a bus is stopped. More on the law, including penalties, here. 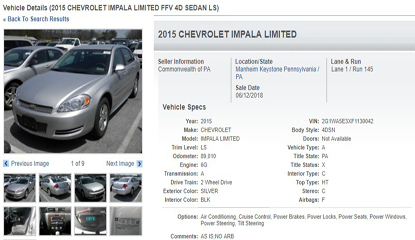 The fourth commonwealth vehicle auction takes place Tuesday in Grantville, Dauphin Co. and features nearly 300 vehicles. Includes vehicles seized by law enforcement and those no longer used by state agencies, including state police cruisers, pick-ups, SUVs and more. Pre-registration is encouraged. Individuals interested in personally viewing the vehicles can do so. Pennsylvania government needs plenty of good workers to serve the people. You can search for state government job openings by category, job title or salary. Categories include administration, office support, customer service, transportation, the trades and many more. Search here for something that may appeal to you. Citizens considering volunteering for emergency disaster response efforts can do so through SERVPA, Pennsylvania’s online registry for medical and non-medical volunteers. Registration is for information regarding your interests/expertise and not a formal commitment. You will be asked to enter information regarding the best way to contact you, any active licenses or certifications and other relevant background data.